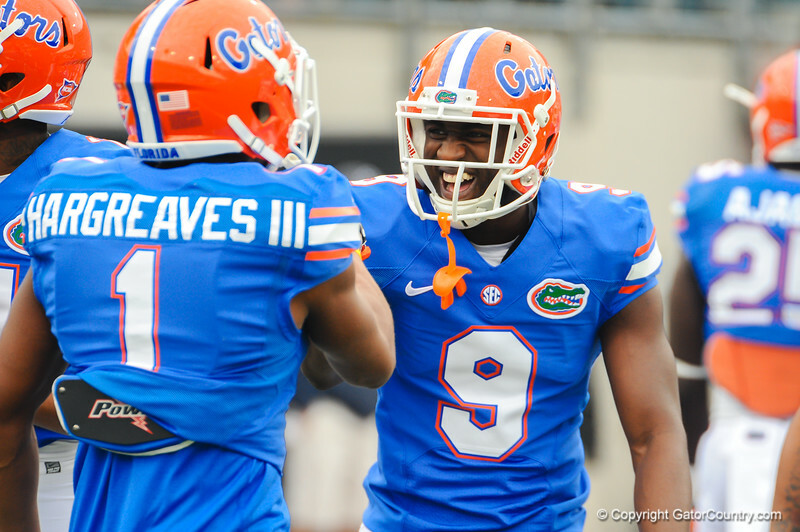 Florida Gators Latroy Pittman and Vernon Hargreaves having fun during preparations for the Florida-Georgia game. Florida Gators vs Georgia Bulldogs. EverBank Field. November 2, 2013.